Mahogany finish plaque (size approx. 10cm x 15cm) encompassing a pewter 1st Queens Dragoon Guards Regiment Badge and pewter SA80 Bayonet. Optional Engraved Trophy Plaque (50mm x25mm) may be added. Check engraved Trophy Plaque Box and add text if required. Mahogany finish plaque (size approx. 10cm x 15cm) encompassing a pewter 29 Commando RA Regiment Badge and pewter Commando dagger. Mahogany finish plaque encompassing a pewter 29 Commando RA Badge with pewter SA80, Dagger and LSW. Mahogany finish plaque (size approx. 10cm x 15cm) encompassing a pewter 8th Kings Royal Irish Hussars Regiment Badge and pewter SA80 Bayonet. Mahogany finish plaque (size approx. 10cm x 15cm) encompassing a pewter Coldstream Guards Regiment Badge and pewter SA80 Bayonet. Mahogany finish plaque encompassing a pewter Coldstream Guards Badge and pewter SLR Rifle. Measuring 6 x 8. Mahogany finish plaque encompassing a pewter Devon & Dorset Regiment Badge and pewter SLR Rifle. Measuring 6 x 8. Mahogany finish plaque (size approx. 10cm x 15cm) encompassing a pewter Devon & Dorsets Regiment Badge and pewter SA80 Bayonet. Mahogany finish plaque (size approx. 10cm x 15cm) encompassing a pewter Devon & Dorsets Regimental Badge and pewter SA80. Mahogany finish plaque (size approx. 10cm x 15cm) encompassing a pewter Grenadier Guards Regiment Badge and pewter SA80 Bayonet. Mahogany finish plaque (size approx. 10cm x 15cm) encompassing a pewter Irish Guards Regiment Badge and pewter SA80 Bayonet. Mahogany finish plaque (size approx. 10cm x 15cm) encompassing a pewter Mercian Regiment Badge and pewter SA80. Mahogany finish plaque (size approx. 10cm x 15cm) encompassing a pewter Princess of Wales Royal Regiment Badge and pewter SA80 Bayonet. Mahogany finish plaque (size approx. 10cm x 15cm) encompassing a pewter RAF Regiment Badge and pewter SA80 Bayonet. Mahogany finish plaque (size approx. 10cm x 15cm) encompassing a pewter Rifles Regimental Cap Badge and pewter SA80. Mahogany finish plaque (size approx. 10cm x 15cm) encompassing a pewter Royal Army Medical Corps (RAMC) Regiment Badge and pewter SA80. Mahogany finish plaque (size approx. 10cm x 15cm) encompassing a pewter Royal Artillery Regimental Badge and pewter SA80. Mahogany finish plaque (size approx. 10cm x 15cm) encompassing a pewter Royal Engineers Regimental Cap Badge and pewter SA80. Mahogany finish plaque (size approx. 10cm x 15cm) encompassing a pewter Royal Green Jackets (RGJ) Regimental Badge and pewter SA80 Bayonet. Mahogany finish plaque (size approx. 10cm x 15cm) encompassing a pewter Royal Green Jackets (RGJ) Regimental Badge and pewter SA80. Mahogany finish plaque encompassing a pewter Royal Green Jackets (RGJ) Regiment Badge and pewter SLR Rifle. Measuring 6 x 8. Mahogany finish plaque (size approx. 10cm x 15cm) encompassing a pewter Royal Marine Crest Regiment Badge and pewter Dagger. Mahogany finish plaque (size approx. 10cm x 15cm) encompassing a pewter Royal Horse Artillery (RHA) Regimental Badge and pewter SA80. 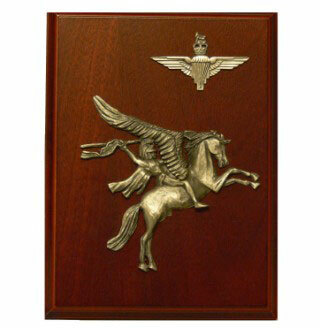 Mahogany finish plaque encompassing a pewter Royal Marines (RM) Crest Badge with pewter SA80, Dagger and LSW. Mahogany finish plaque encompassing a pewter Royal Marines (RM) Regiment Badge and pewter SLR Rifle. Measuring 6 x 8. Mahogany finish plaque (size approx. 10cm x 15cm) encompassing a pewter Royal Regiment of Scotland Regimental Cap Badge and pewter SA80. Mahogany finish plaque (size approx. 10cm x 15cm) encompassing a pewter Royals Signals Regimental Cap Badge and pewter SA80. Mahogany finish plaque (size approx. 10cm x 15cm) encompassing a pewter Royal Tank Regiment (RTR) Regimental Cap Badge and pewter SA80. Mahogany finish plaque (size approx. 10cm x 15cm) encompassing a pewter Welsh Guards Regiment Badge and pewter SA80 Bayonet.